Judith will speak about her Mormon upbringing and the challenges of being a girl in a strictly patriarchal world, as well as the difficulties of addressing such experiences as an adult. This will resonate with many women’s religious experiences in various traditions. 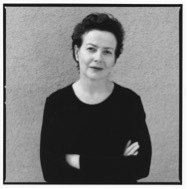 Judith Freeman’s other novels include, The Chinchilla Farm (1989), Set For Life (1991), A Desert of Pure Feeling (1996), and Red Water, named one of the 100 best books of 2002 by the Los Angeles Times. She is also the author of the non-fiction work The Long Embrace: Raymond Chandler and the Woman He Loved. She received a John Simon Guggenheim Fellowship in 1997, and also won the Western Heritage Award for her novel, Set For Life in 1992. Her essays and articles have appeared in The New York Times, The Los Angeles Times, the Chicago Tribune and other periodicals. She lives in Los Angeles and rural Idaho with her husband, artist photographer Anthony Hernandez.